The embedded disk array chipset allows the data of a single damaged hard disk to be completing preserved without affecting system efficiency. For users requiring large data storage space, the DR5-SB3’s RAID 5 provides the most cost-effective solution for data security and backup. 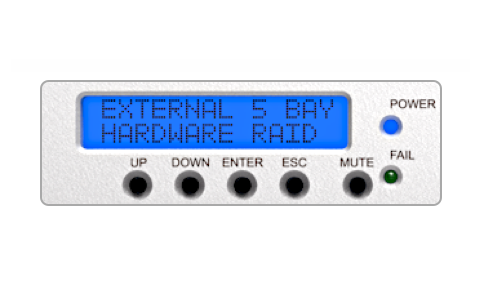 The DR5-SB3 can be installed by following the simple steps in LCM, and users can select to use from the multiple modes, JBOD, Large, Clone, RAID 0, RAID 10, RAID 3 or RAID 5. With the hassle-free software installation and setup, users can enjoy the large capacity and content safe storage right after formatting the hard disk. The DR5-SB3’s unique stackable design takes up an area of no more than two sheets of A4 paper, allowing users to stack upwards and save space. 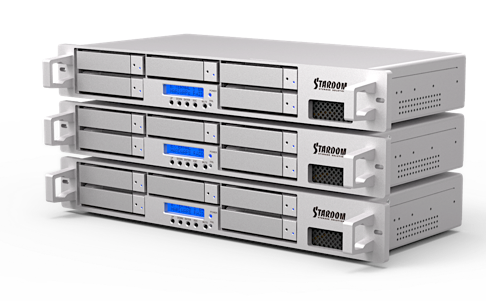 The DR5-SB3 can also be installed in server racks, allowing a rack server’s storage capacity to be effectively expanded. 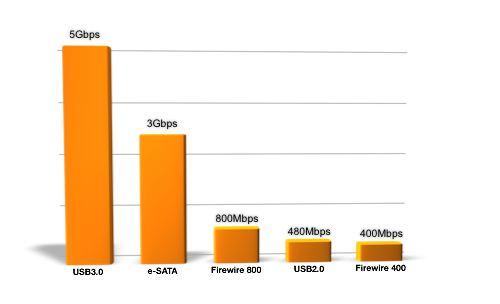 Multiple connections including e-SATA and USB 3.0 offer creative employees more flexibility across different platforms and deliver superior professional performance and convenience. 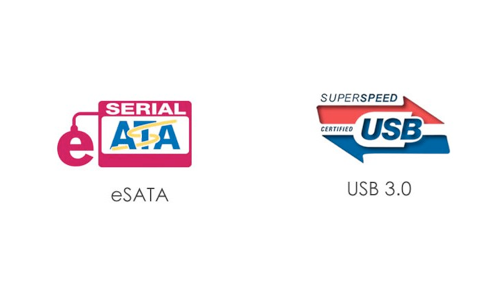 When connected to the high speed USB3.0 interface, the DR5-SB3 lets you read and write data 10 times faster than USB2.0. When using this with a notebook equipped with USB3.0, the efficiency of your work will no longer be impacted by the speed of USB2.0 as in the past and your creativity will no longer be limited either (transmission performance will be based on your hardware and system configuration). 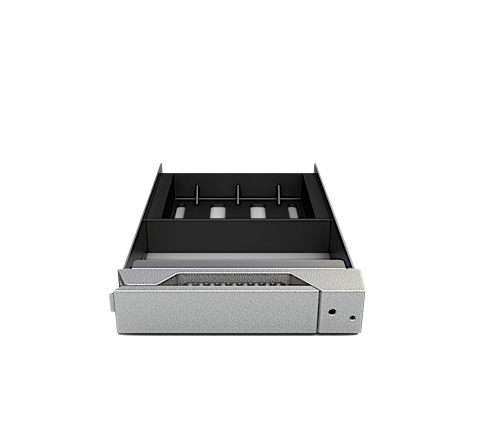 DR5-SB3 is designed with removable hard drive trays. The combination of the plug-and-play convenience of external casing with the tray's internal stability advantages offers you easy removal and installation while on the move. Both silver and black removable trays have the same structural design, thus both are compatible with all STARDOM 3.5" hard drive enclosures. 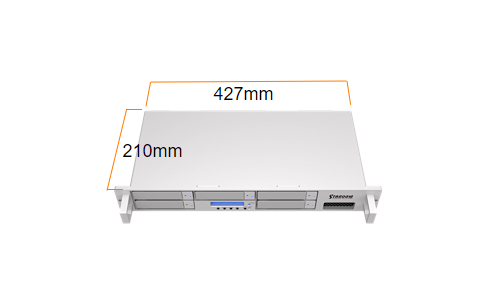 The DR5-SB3’s short rack structural design is not only suitable to be put on desk, but also be installed on server racks. 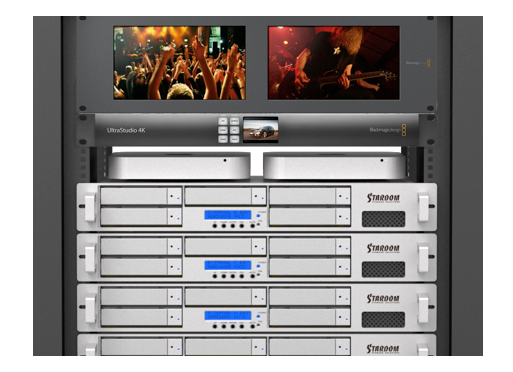 Because its depth is half of a normal rack, the installation can be combined with a mobile rack without occupying extra space. 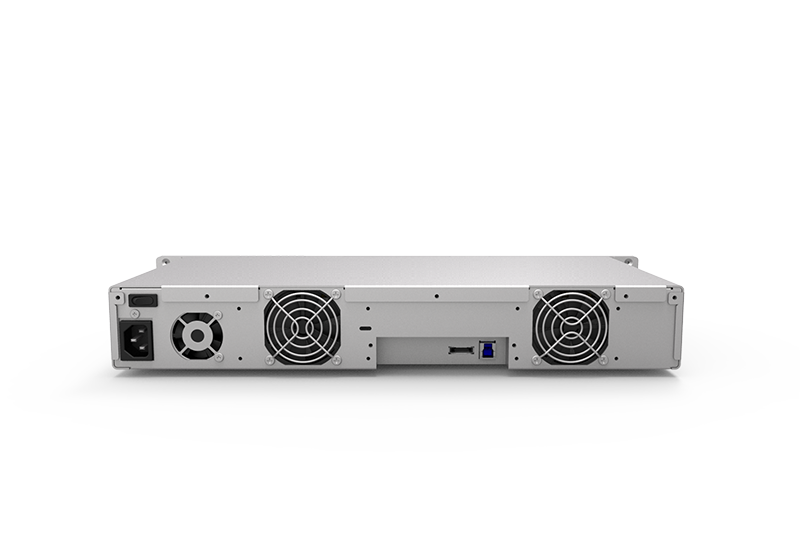 DR5-SB3 is equipped with a high-efficiency internal power supply that complies with safety standards so that users will always have enough power for different hard drive usage conditions. 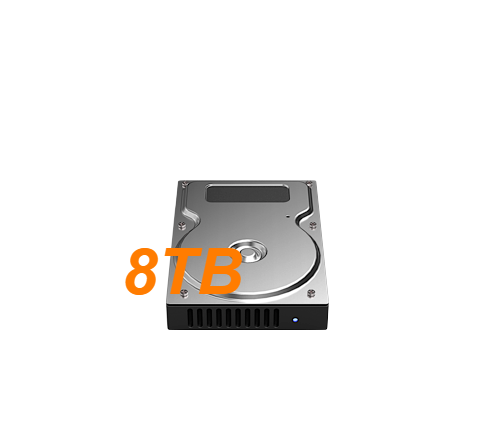 DR5-SB3 holds any capacity of SATA hard drives up to 8TB per drive bay. With all drive bays installing 8TB drives, in RAID 0 mode, the system will give you a total of 40TB in volume for storage, and under the RAID 5 mode, a total of 32TB in volume for storage with a single drive used for redundancy. STARDOM's design team broke away from traditional design and created a brand new flat DECK design. We redefined the placement of each component from the inside out, creating a sturdy yet elegant appearance that is compatible with a 19-inch rack. 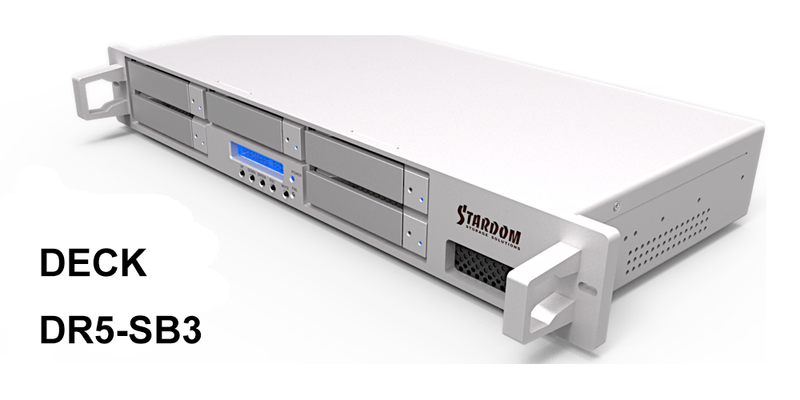 The DR5-SB3 can be easily placed on your computer desk or be used with your home audio-visual computer placed inside of the audio-visual cabinet and stacked with your other amplifiers. 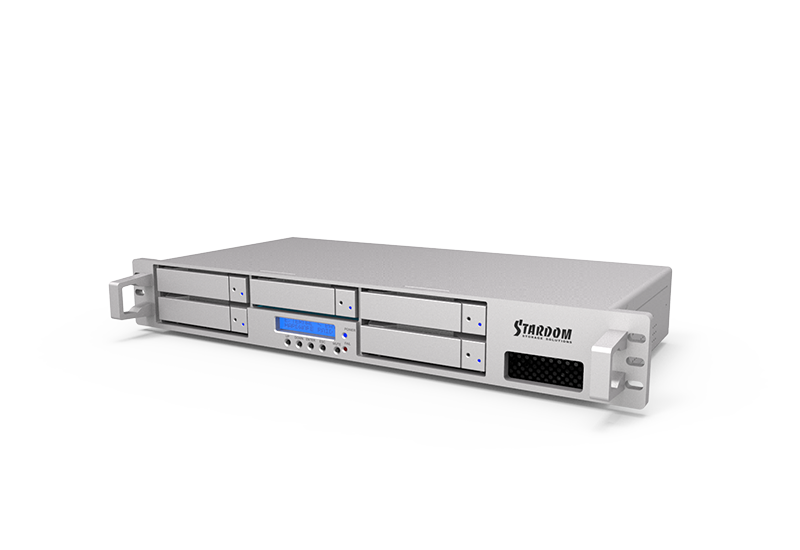 The DR5-SB3 can be easily installed in a standard 19-inch server rack and can be effectively integrated with other image capture devices. 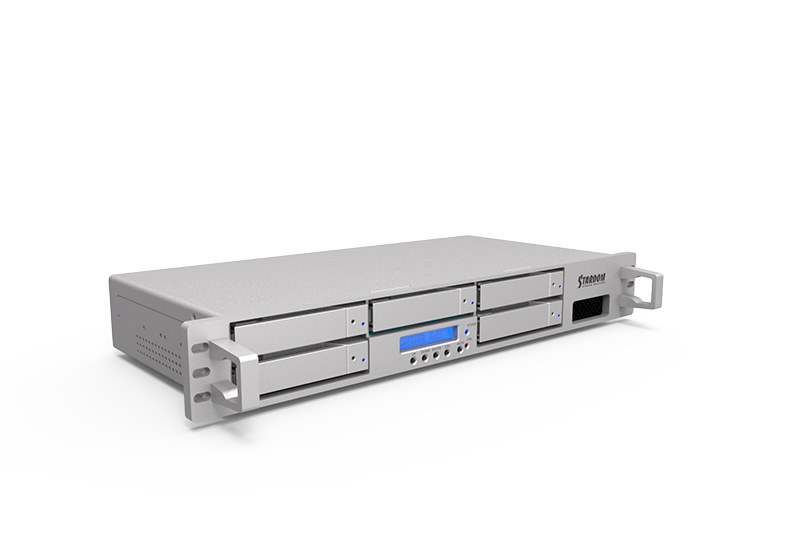 Its compact design is perfect for small server racks that need to be moved around. 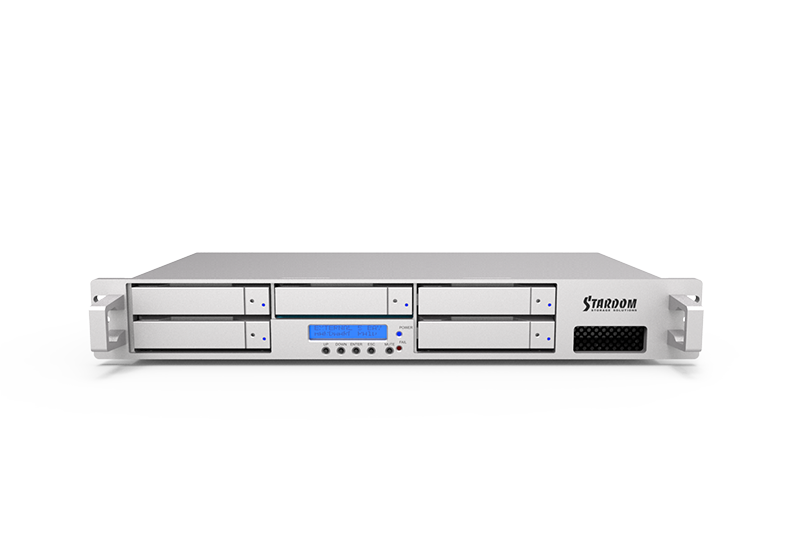 The DR5-SB3 can also be integrated with other servers to make a large-capacity workstation, making it a breeze for small business owners and independent departments to back up important data. The length of the DR5-SB3 is very suitable for stacking with other TV cabinets and stereo amplifiers. It's the ideal combination for those who like to take advantage of audio-visual computers for video playback. By sharing data with the theater computer, it can be easily upgraded into a media center for your home theater system. 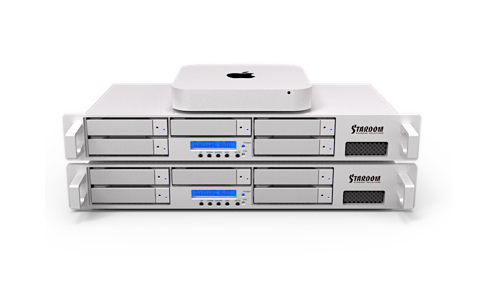 Do you worry that disk failure may cause data loss when using a Mac mini Server as the platform for enterprise database or resources control center? 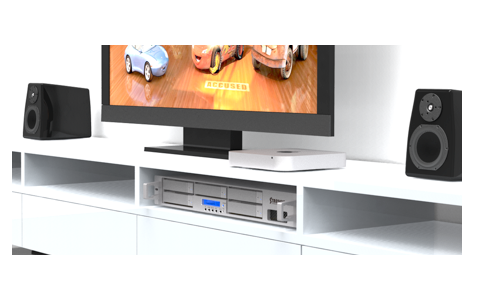 By working with DR5, you can both backup data in DR5 and share the spare space to meet other storage requirements for full spectrum data backup.The Mac mini's USB3.0 interface allows up to four installations of the DR5-SB3. 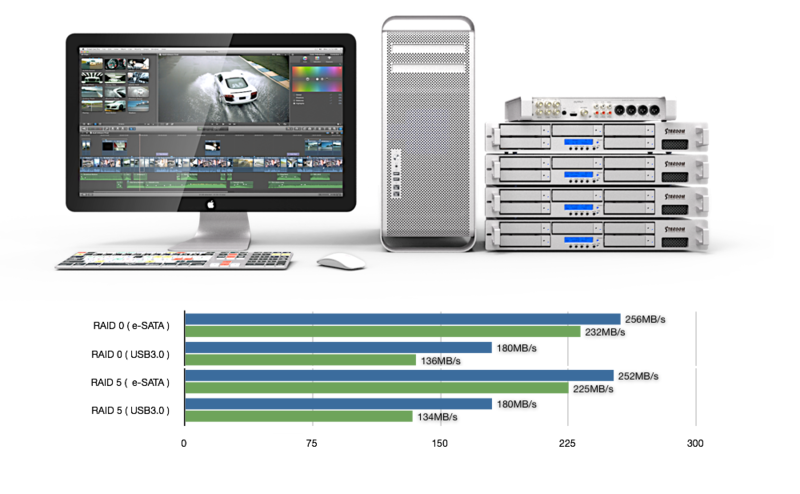 With a quad-core Mac Pro that has Final Cut Pro installed, you can collect HD footage for ProRes422 HQ/DV/DVCPRO HD/DVCPRO/DVCPRO50. 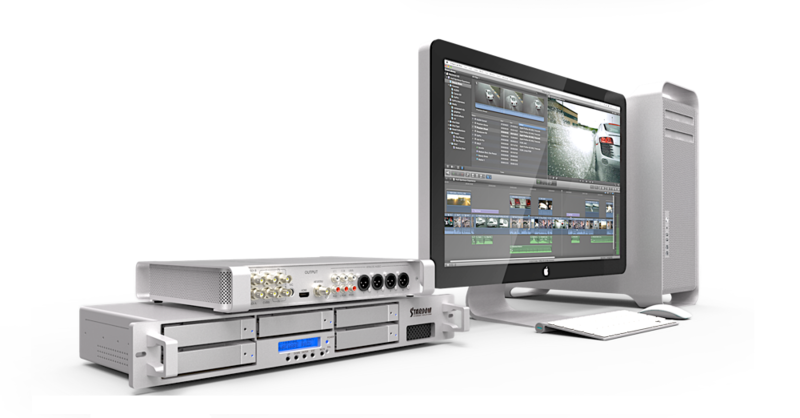 With a Core2 Duo 2.4 GHz or faster MacBook Pro, you can collect HD footage in ProRes422 HQ (720p@24, 25 and 30 frame rates), ProRes 422 (LT), and DVCPRO HD formats. With the DR5-SB3's large storage capacity, you can even capture uncompressed 8-bit and 10-bit high definition material.